Comment: **Hassle Free Returns & 60 Day Warranty** Comes with Front & Rear Lens Caps. 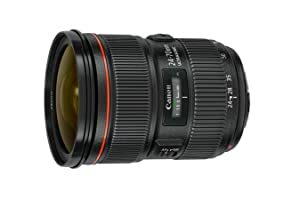 Amazon's Choice for "canon 24-70mm f 2.8l ii usm"
Buy this product Renewed and save $153.00. 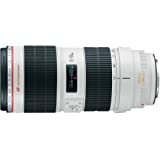 - Focal Length and Maximum Aperture: 24-70mm, 1:2.8. - Lens Construction: 18 elements in 13 groups. - Diagonal Angle of View: 84° - 34°. 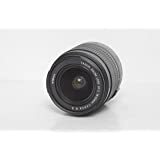 - Focus Adjustment: Inner- focusing with USM. - Closest Focusing Distance: 0.38m/1.25 ft.
- Zoom System: Rotating Type. - Max. Diameter x Length, Weight: 3.5 x 4.4 in., 28.4 oz. / 88.5 x 113mm, 805g. We ship on the same Business Day if the order comes in before 3 PM West Coast Time. All orders are shipped safely with USPS Priority or FedEx. Estimated delivery time is 4-10 working days. (( Serial # 1570002475 - For Insurance & Security Purposes )). We take actual photos of every item we sell. Please ask us about our detailed Return-Refund-Claim Policy if you have questions. 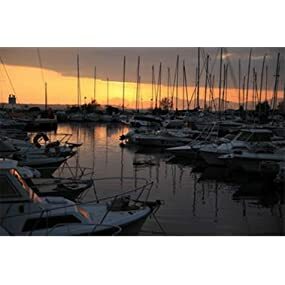 Returns are accepted up to 2 days after delivery with a 10% restocking fee and non-refundable shipping costs, or 3-14 days after delivery with a 20% restocking fee, no refunds after 14 days. If the item arrives damaged, we accept a return within 48 hours after confirmed delivery. Review originally written in April 2014, updated March 2017. 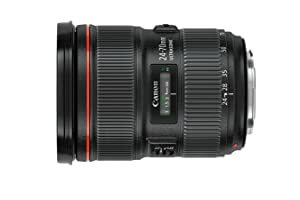 This is just an incredible lens that, provided you can afford it, will deliver in spectacular fashion. My first standard range zoom for full frame was the 24-105 f/4L IS. I found myself using it only when I absolutely had to. 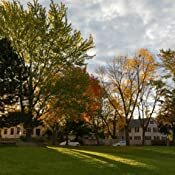 Generally, the photographs taken with it lacked sharpness, contrast and depth of color. For any situation that mattered, I ended up using primes - the 35L, 35 f/2 IS, 135L, or the 50/1.4. All this changed when I rented this lens in December 2013 for a trip to Utah. Looking at the photographs after my trip, I was stunned by the sharpness and color rendition in the landscapes captured with this lens. I could not see any meaningful difference between the shots taken with this lens and those with the 135L or the 35 f/2 IS which I had also taken with me. 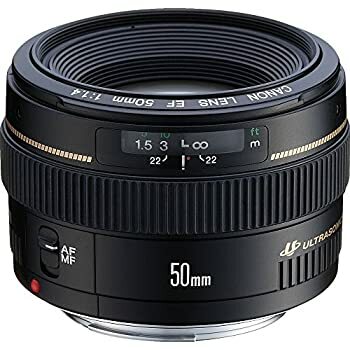 Here at last was a standard range lens that offered the convenience of a zoom with little or no sacrifice in image quality compared to a prime. 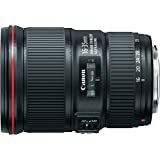 Very quickly, my 24-105 and a couple other lenses went on sale to finance the purchase of this lens. 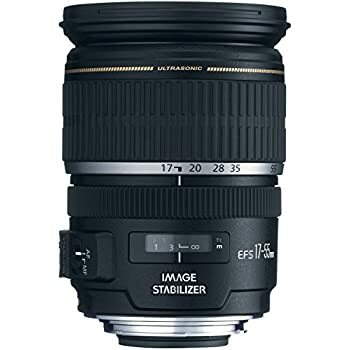 Since my purchase, I have used this lens for portraits, low light events, and landscapes, and it has never failed to deliver. Focusing, even at f/2.8 and in AI Servo mode is quick, accurate, and decisive. Stopped down when used for landscape photography, it shows excellent corner to corner sharpness - for a recent project, I shot identical photographs with this and the 35mm f/2 IS and could not, even at 100% magnification, see any difference in sharpness, color, and contrast between the two. 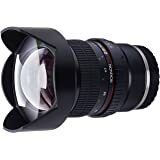 The lower weight compared to the old version, new hood design and center pinch cap are all very nice features which add to the pleasure of using this lens. I continue to use the 35mm when I need the extra stop or IS - such as for hand held late evening street shots - or just some thing small and light; and of course nothing I have shot with can approach the pure magic of portraits taken with the 135L. The bulk of the time though, this and the 70-200 f/2.8L IS II are the lenses I reach for. Both are lenses that, apart from maximum aperture, can mix it up with the best primes I have shot with. Both focus faster and more accurately than primes I've used (but see addendum). 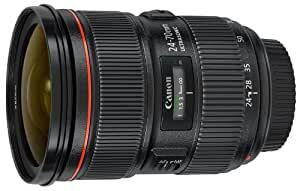 If, like me, you do not make money from photography, it is rational to ask whether a lens like this is worth it, and I will offer this perspective. 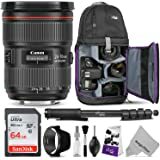 This lens, much like its equally accomplished big brother, ranks among a select few that you can mount on your camera and walk into practically any situation with complete confidence that you will return with great pictures. If you love photography as I do, if getting the shot matters to you, that is worth the price of purchase. 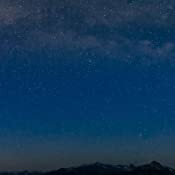 Image Notes: The Milky Way panorama arcing over Glacier Point, the Fall color photograph, and the wide field of the constellation of Orion were taken with a 5D Mark IV. 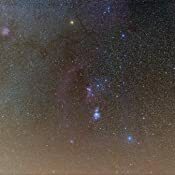 The Orion photograph is a stack of approximately 20 minutes worth of 45 second subs with tracking using an iOptron SkyTracker Pro.The photograph of Mt. 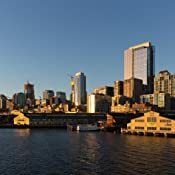 Rainier and Seattle from the Bainbridge Ferry were taken with a 5D Mark III. 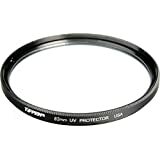 The excellent corner sharpness makes this lens a great choice for landscape photography; the fast aperture makes it a good choice for astrophotography, although faster primes will yield better results. Addendum: The one lens in this range I've used recently that does out resolve this is the new 35mm f/1.4L II. That wonderfully sharp lens resolves visibly more detail in the landscape photos I've taken with my 5D Mark IV and focuses just as quickly and accurately as this zoom. If you're looking for absolute sharpness, and can make do with a 35mm focal length, that is the lens to use. 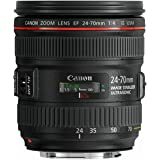 For me, this 24-70 is plenty sharp, particularly at its wide end where I use it a lot, and I value the versatility more than the increase in sharpness and two stop advantage the new 35mm has. 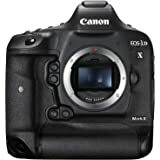 For specific applications such as astrophotography, this calculus will change, but for me, those needs are infrequent enough to where renting the 35mm when I need it makes more sense. Your needs could well lead you to a different choice. If you have a question that I have not covered in the review, or if you notice something inaccurate in what I've written, please leave a comment. I will try and answer to the best of my ability. If you found this or any other review published here helpful, please take a moment to click "Yes". This encourages us to continue to contribute and also goes towards making the overall rating of this lens more representative. Thank you for reading! 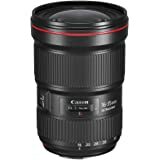 5.0 out of 5 starsThe best first big purchase lens you'll ever make. I sh*t you not! 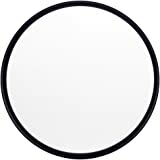 This is just for the new photographers out there looking to get their first big boy lens. I'm not addressing the old salts out there because they already know. This is your goto lens. 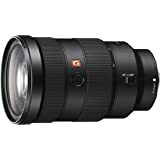 If you haven't figured out your focal lengths yet when going to shoot or your not sure what to bring you can always trust this lens. It can outperform primes when used right and it can eliminate almost all other lenses in your arsenal (with the exception of the 70-200mm 2.8 II) minimizing your load. From 24 to 70 at 2.8 you can do anything with this guy. I have now purchased 3 so i have one for each of my main cameras both video and still and they never disappoint. They have been dropped, kicked, put on wrong and tossed and never miss a beat. It's worth every penny so save your cash now and snag one...or two. You will grow into it and might even snag a 35mm L prime or a 24 prime but only in the rarest moments will you tell the difference. 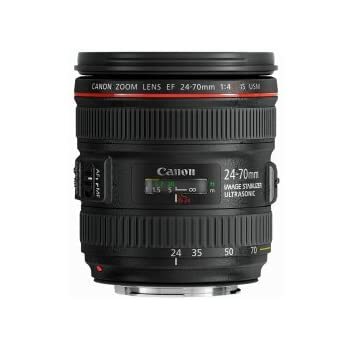 I have coveted the 24-70mm lens for such a long time and have rented one a couple of times for special events. Finally, I accumulated enough credit card points and bookings (family, newborn and wedding shoots) so that I was able to justify the purchase. 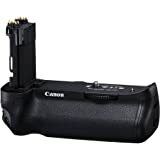 I received it on a Saturday, latched it into the camera immediately and shot more than 1,000 images with it in the ensuing week. 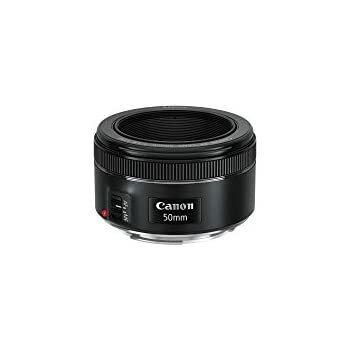 Focus is super sharp, and the lens locks on to focus quickly with no noticeable motor noise. Coupled with the Canon 5D Mark III in Silent Shooting mode, I can photograph newborns without making a noise that may unsettle them; or I can shoot during the wedding ceremony without disturbing the proceedings. 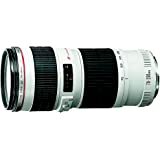 It is definitely a heavy beast, and I was quite tired after shooting with it for >6 hours at a wedding, but I suppose I would have been tired even without this fantastic lens! The combination of Canon 5D Mark III and 24-70mm f/2.8L II USM is the professional standard (in the Canon world anyway...), and I can now take on photo shoots knowing that my equipment is not going to interfere with my creative vision. 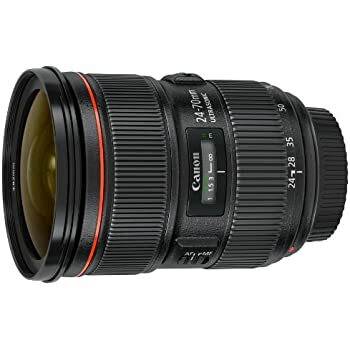 The f/4 version of this lens is what tends to come with the Mark5d Camera Bundle. I knew there was a F/2.8 and really wanted to start my new collection off right so I took the plunge and bought the body of the Mark 5D Mark IV and this lens. It's truly an amazing lens and the focusing is lightning fast. I did notice that super straight objects have a sharper curve that I was expecting (I'll show upload a picture) but I'm so new at this that I am willing to wager it's my error. You can judge for yourself. The clarity has been stunning and it looks pretty darn great on the body of this cam. I keep this on all the time and am always glad when I have something I have to shoot -- It's been a great boon to my Photography. 5.0 out of 5 starsWow. Just wow. I'm blown away by the quality of photographs this lens helps create. 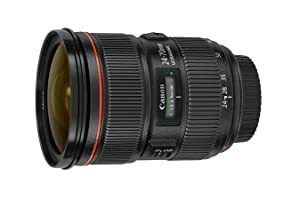 Back in 2011 I purchased the first version of this lens and used it faithfully as my work horse. Now that this version two dropped in price from the original introduction price, I finally decided to make the upgrade and boy if I only knew what I was missing all this time! The image are tack sharp, autofocus is extremely fast, and the bokeh is so smooth. This lens is hands down the best lens I have ever used. 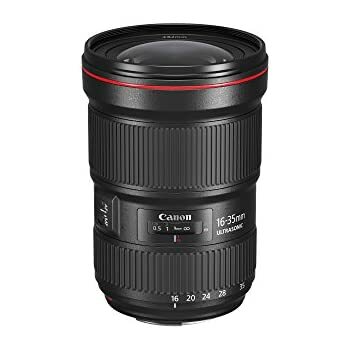 If you're looking for a perfect all around lens, this is the one for you!